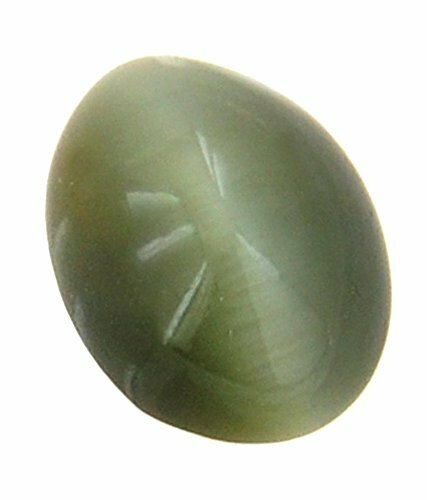 Gemstone Name- Cat's Eye / Lehsunia Origin of Gemstone – Sri Lanka / Brasil Carat Weight – 6.98 Ct (7.25 Ratti+) Shape/Cut - Oval Cabochon Cat's eye Is worn to remove malefic influence of Ketu. It helps in mental peace, improves health and brings good fortune. The stones provided have been energized for immediate results.